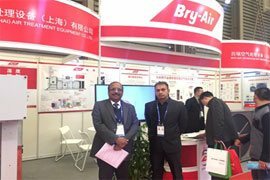 Showcasing the technological strength to the China HVAC&R industry, Bry-Air successfully showcased its product range at China Refrigeration 2017 at Shanghai, China. 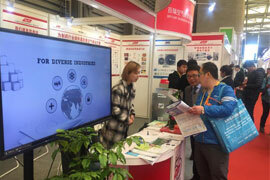 Displayed Compact Dehumidifier-FFB Series, Desiccant Dehumidifier-FLi Series and Heat Recovery wheel at the booth. The booth was manned by Bry-Air (Asia), President & Director Mr. Dinesh Gupta, DRI Executive Vice President, Mr. Varun Pahwa along with Bry-Air China team.